"WOW! That's Awesome! was my initial response to my first experience with the AlterG, in November of last year. At that time, I had been using a walker for some time and this anti-gravity treadmill gave me hope... Now at 270 pounds, I continue to lose weight. Walking was fun! .. At age 87, I now walk without any assistance! I recommend Ledesma Sports Medicine to anyone who is unable to walk and really wants to try again!" Our facility is Savannah, Georgia's first location to have the AlterG Anti-gravity Treadmills, which allow individuals suffering from orthopedic, muscular/tendon sprains or strains, balance disorders, and other medical conditions by allowing the patient to walk and/or run with reduced body weight. These state of the art treadmills are revolutionizing how patients are able to overcome their injuries while minimizing stress loads to the body. For patients with neurological disorders, the AlterG Treadmills offer a safe environment in which to improve gait abnormalities as well as improve the cardiovascular system. The AlterG treadmills have also proved successful in allowing clients to lose weight with less stress loading to all joints. "I had recently had a total knee replacement and thought surely Ledesma Sports Medicine must have a program that would help me recover. My physician agreed; I was doing well and walking without fear and had even lost a little weight! I was actually running on the AlterG. I took a nasty fall, which resulted in a broken right wrist, two breaks in my femur and a compression fracture in my back! After three surgeries and a month in the hospital, I came home, walking painfully with a walker, a few steps at a time. Once again, I requested that my therapy be with Ledesma Sports Medicine. I am walking!! NO WALKER, NO CANE! Yes, it took some time and I still have a limp, but I am plugging away in physical therapy and improving every week. 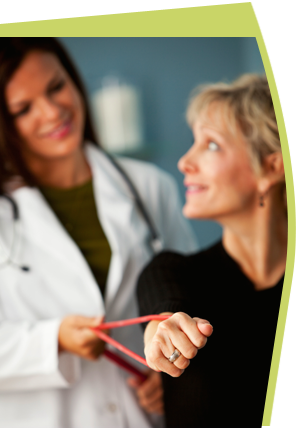 Ledesma Sports Medicine is the answer to prayer for anyone who has difficulty walking". Using this NASA developed technology, our clinicians have the ability to offer clients an exercise walking/running program on medical breakthrough equipment. Our clinicians are highly skilled in developing walking/running programs to optimize our clients return to top physical fitness levels.